Igor Dumic, M.D., from the Mayo Clinic in Rochester, Minnesota, and Edson Severnini, Ph.D., from Carnegie Mellon University in Pittsburgh, examined the relationship between climatic variables and the reported incidence of Lyme disease in 15 states that contribute to more than 95 percent of reported cases within the Unites States. Specifically, data were analyzed for 468 U.S. counties from high-incidence states with annual data available for 2000 through 2016. 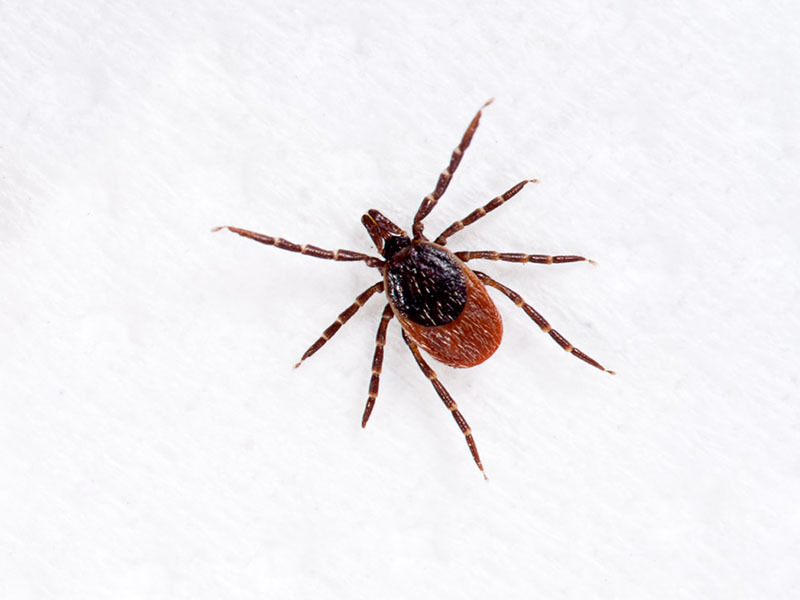 The researchers observed sizable impacts of temperature on the incidence of Lyme disease. Results indicate an inverted U-shaped relationship, consistent with patterns of tick survival and host-seeking behavior. For each 2-degree Celsius increase in annual average temperature (based on projections from the latest U.S. National Climate Assessment), there is a predicted 20 percent increase in the number of Lyme disease cases in the United States during the coming decades. "These findings may help improving preparedness and response by clinicians, public health professionals, and policy makers, as well as raising public awareness of the importance of being cautious when engaging in outdoor activities," the authors write.